Jodi Green has enjoyed offering birth and postpartum doula service to hundreds of families in Philadelphia, South and Central New Jersey, and Delaware as “Jodi the Doula” since 1999. As a certified doula through CAPPA, Jodi makes it her personal goal to offer the information, education, and support parents need to make their own informed choices in birth and parenting. 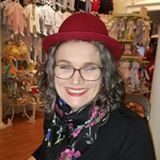 Jodi has an educational background in child development, and has trained as a Traditional Naturopath through Herbal Healer Academy with experience and certification in many natural healthcare modalities including nutrition, reflexology, reiki, aromatherapy, and acupressure, all of which are useful tools in pregnancy, labor and delivery. Jodi is a member in good standing of Doulas of North America (DONA) International and the Childbirth and Postpartum Professionals Association (CAPPA). Jodi is a trained Breastfeeding Peer Counselor through the Women, Infants, and Children Program (WIC) and has attended Childbirth Educator trainings through BirthWorks International, and taught classes as an Empowered Birth facilitator from 2004-2010. Jodi teaches Birth Plan Basics at Virtua Hospital in Voorhees, NJ and continues to take advantage of further training and education through many organizations to continue offer the most up-to-date information available for birth options. Jodi is an avid gardener and knitter, loves jigsaw puzzles and Harry Potter, and lives with three kids and two black cats who are seldom mentioned in bios. You can contact Jodi by text or phone at (856) 419-3690, or by sending an email to jodithedoula at gmail dot com. You can also follow Jodi on Twitter @jodithedoula, and jodithedoula on Instagram.